SHREWSBURY, Mass. 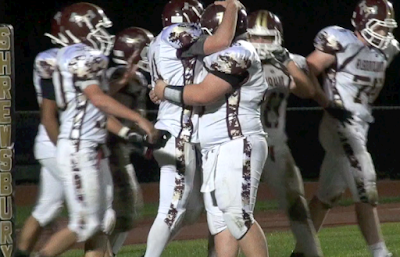 – In a game with playoff and league title implications for both teams, it was visiting Algonquin who made just enough plays to top rival Shrewsbury Friday night. Check out our full video highlights below. Algonquin Outlasts Shrewsbury from Joe Parello on Vimeo.